Meet the Staff is a Q&A series on Cultural Compass that highlights the work, experience, and lives of staff at the Harry Ransom Center. Chelsea Weathers received a Bachelor of Arts in Art History from The University of Alabama, Tuscaloosa, and then both her Masters of Arts and Doctorate of Philosophy in Art History degrees from The University of Texas at Austin. 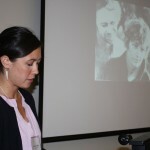 She volunteered at the Ransom Center as a docent and worked as a graduate intern while completing her degrees. 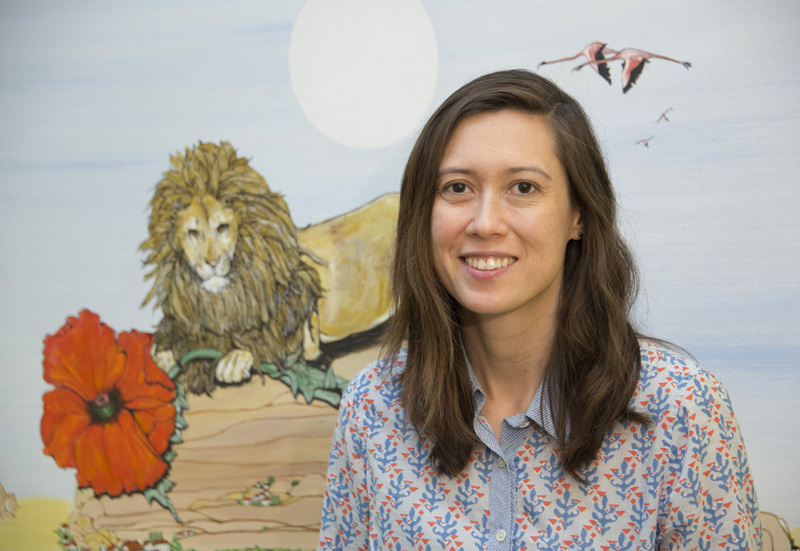 She taught at Texas State University before returning to the Ransom Center, where she now works as a research associate. 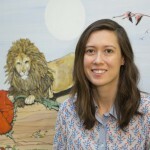 She is also an assistant curator of Frank Reaugh: Landscapes of Texas and the American West and is co-curator of the upcoming exhibition Shakespeare in Print and Performance. Chelsea Weathers. Photo by Pete Smith. What drew you to art history? When I was a teenager I was really interested in Andy Warhol and also just loved going to museums. I grew up in Alabama, and when I was about to graduate from high school I just remember discovering that there was this major I could choose where all you did was look at art, think about art, and write about art. It seemed like the weirdest thing, that I could do that for a living. 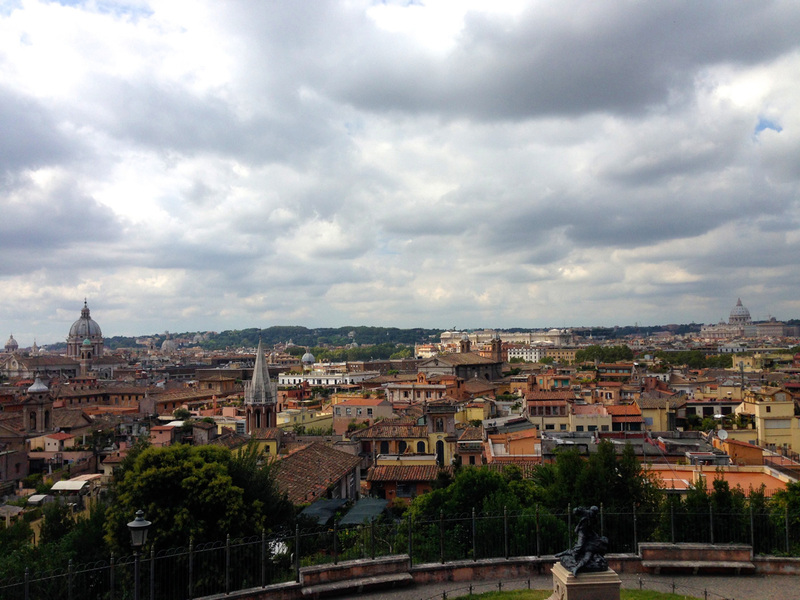 So I went to The University of Alabama as an undergrad, took some art history classes, and then went to Florence for a summer study abroad program and then fell in love with Italian Renaissance art. You used to be a lecturer at Texas State University. What was your experience teaching? The best thing I got to do at Texas State was teach a seminar on Andy Warhol. That class did two things: it helped me understand my own work better, and I was able to connect with students. Teaching forces you to think hard about how to explain something because you’re trying to help someone else understand it in real time. There’s a different type of engagement that goes on when you only have 12 students, as opposed to 75 in a lecture class. I enjoyed getting to know my students. It was really rewarding to have students engage with the material and help them write about it, and I liked being able to help them shape their ideas. Why are you interested in Andy Warhol’s work? I remember being really young and not understanding who Warhol was and why he was so important. I discovered him from reading Edie Sedgwick’s biography by George Plimpton and Jean Stein, actually. That book gave me a glimpse of the 1960s, which was so different than the world I was living in—and there was this vein of art making that I didn’t understand either. Through reading about Warhol, a whole world opened up to me as a very impressionable teenager. Even though Warhol made paintings, I couldn’t figure out how someone who was a painter could become so incredibly iconic. He fascinated me, and he still does. He seems to have had his finger on the pulse of most of America’s impulses; he predicted our media and celebrity obsession. To audiences in the 1960s it may have looked like he was just playing around, but some of the things he did ended up being pretty subversive and serious. 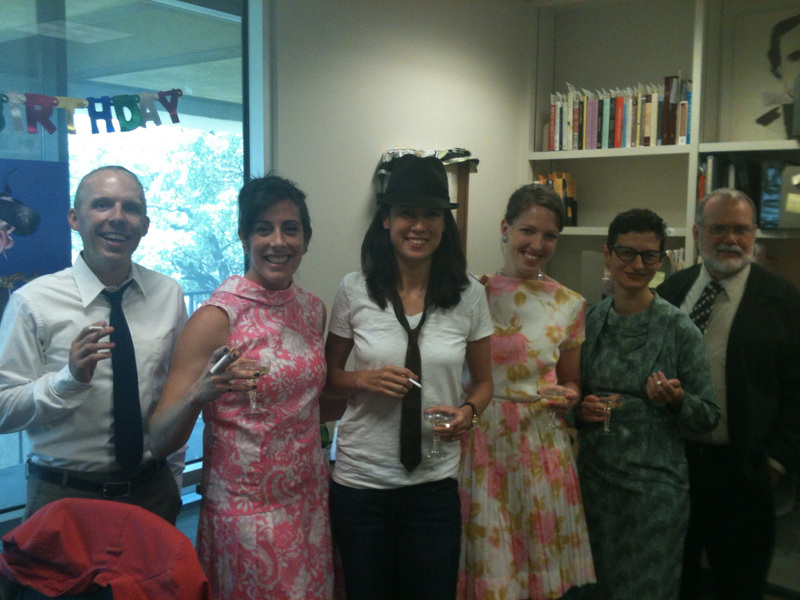 How have you brought your teaching experiences to your job at the Ransom Center? What I love about working here is that I get to teach. I do a lot of presentations with classes and other visitors. Each presentation is like curating a small exhibition, and I get to engage with people by showing them materials from the collections. I also often get to teach people not just about the items in front of them, but about archives in general and ways to think about research that maybe they hadn’t thought of before. A large part of my job is public services. I help researchers who come to the Reading and Viewing Room and off-site patrons who contact me with questions about collections. Recently, I helped a curator who was researching his newly acquired Denton Welch watercolor. I went through the Ransom Center’s Denton Welch art collection and tried to find similar images that might help him to determine the date of his artwork. 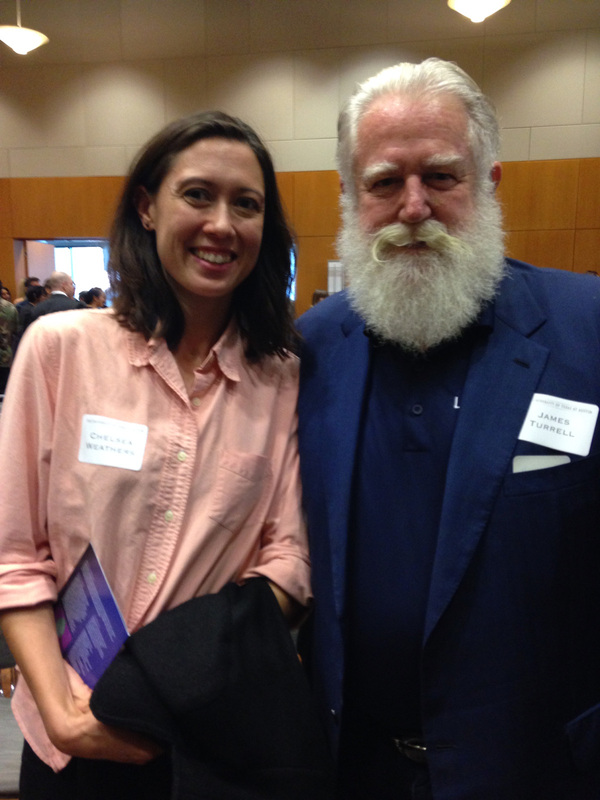 I also help patrons to prepare for long visits to the Ransom Center to look at specific collections. In addition to public services, I also have worked on some exhibitions. I have been helping Peter Mears, the art curator, with his Frank Reaugh exhibition. We are also publishing a book to accompany the show, which takes a lot of planning. I have also done some cataloging; I oversaw and worked with graduate interns to digitize the Fred Fehl dance photographs. Could you tell me about Pastelegram? Ariel Evans, a PhD student in the art history program at UT, founded Pastelegram as a magazine where one guest artist works with us to edit and design an entire issue. 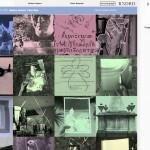 The magazine turns out to be a kind of hybrid between publication and artwork. The mission of Pastelegram is to think through and present different aspects of the artist’s process. For instance, if artists use archives in their work, what kind of archives do they engage with, and how do they do so? What does their own archive look like? I joined Pastelegram in 2013, when it began to produce more digital projects on its website. 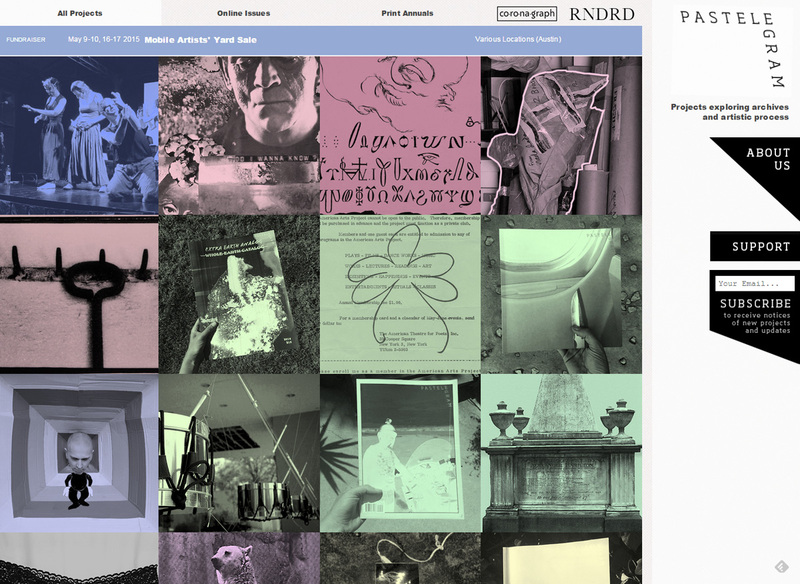 My three colleagues and I work with contemporary artists and scholars to try to think about contemporary issues surrounding artists and archives, and to create digital projects that engage with those issues. Pastelegram is a good place for me to explore more experimental projects; I get to engage with art and archives in a different way than in a special collections library setting. It has also given me great opportunities to work with contemporary artists and writers. I do a lot of reading and cooking. Pastelegram takes up a lot of my time. I try to keep up with museums around the country. When I get the opportunity to travel, I try to look at as many exhibitions as I can. 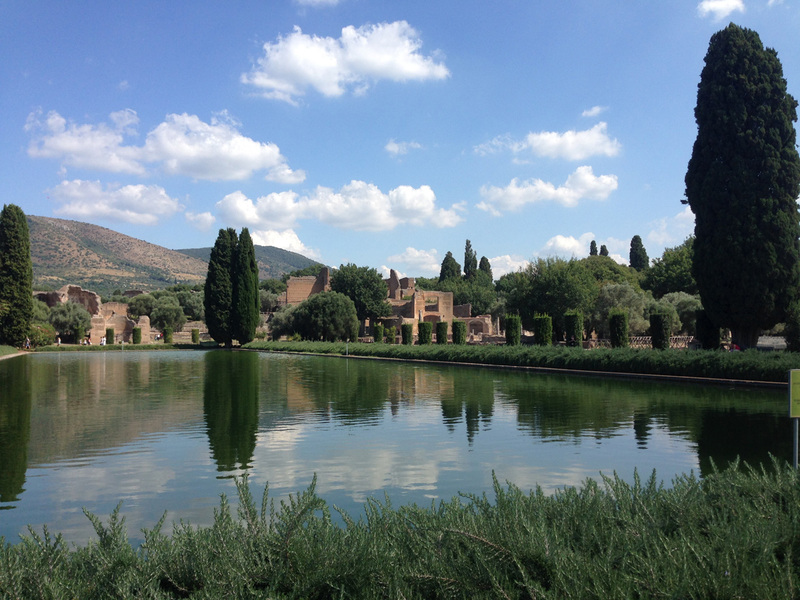 Last year I visited Rome on a courier trip with the Ransom Center’s Frida Kahlo painting, and I stayed for several extra days. 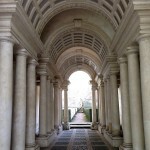 A friend of mine with an architecture background joined me, and so we looked at as much art and architecture as we could manage. It was fantastic. Italian, mostly. I am making a Bolognese sauce from scratch for some friends who are coming over later this week. I got a pasta maker for Christmas, so for most of the winter break I was experimenting with making pasta. It’s really hard! And then I like anything Southern. There are a couple restaurants in Birmingham that I love, and the chef who runs them, Frank Stitt, makes great cookbooks. I pore over them and try to replicate things that I’ve had there. Whenever any of my friends come to town I have to take them to Tacodeli. They put mashed potatoes on their tacos, which sounds weird, but it’s delicious and so decadent. There are two restaurants that I went to recently that I really loved. Lenoir is a super little place on South First. They do contemporary American with some Indian influence; it makes for a really beautiful meal. I also recently enjoyed Olamaie. They do contemporary Southern food, and everything I tried there was lovely. Do you have any other Austin recommendations? I love going to the Paramount Summer Film Series. It’s the best thing to do in Austin in the summer. There is another cinema group called Experimental Response Cinema, and they screen really obscure films, many of which I’d never be able to see otherwise. Some are so great, but they wouldn’t be as great if you were just sitting in your living room watching them. Everything is better when it’s on a big screen. Both of those organizations are doing really great things for cinema in Austin. 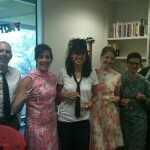 Chelsea Weathers celebrating with fellow Ransom Center interns at her Mad Men themed birthday party. 2012. Unidentified photographer. 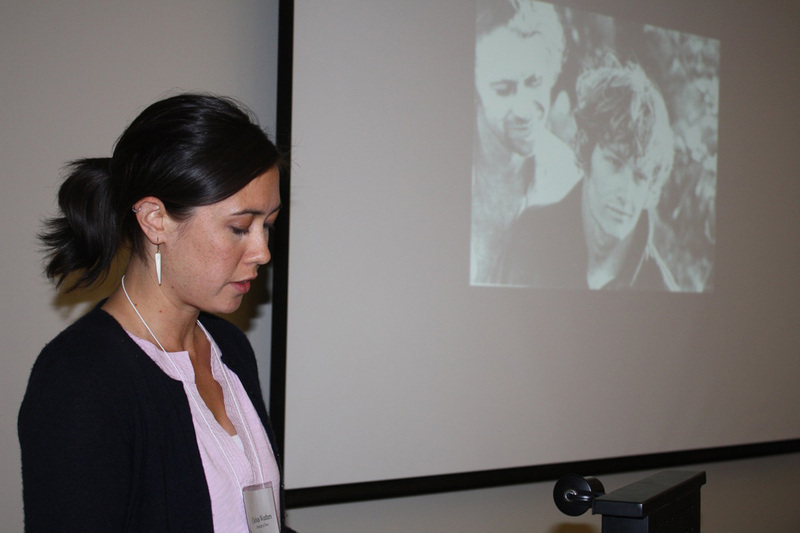 Chelsea Weathers presenting a paper on Andy Warhol’s film Lonesome Cowboys. 2009. Unidentified photographer. Home page of Pastelegram’s web site. 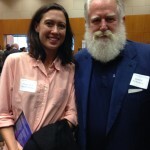 Chelsea Weathers with James Turrell. 2013. Photo by Leigh-Anne Brown. 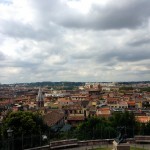 A view of Rome from the Spanish Steps. 2014. Photo by Chelsea Weathers. 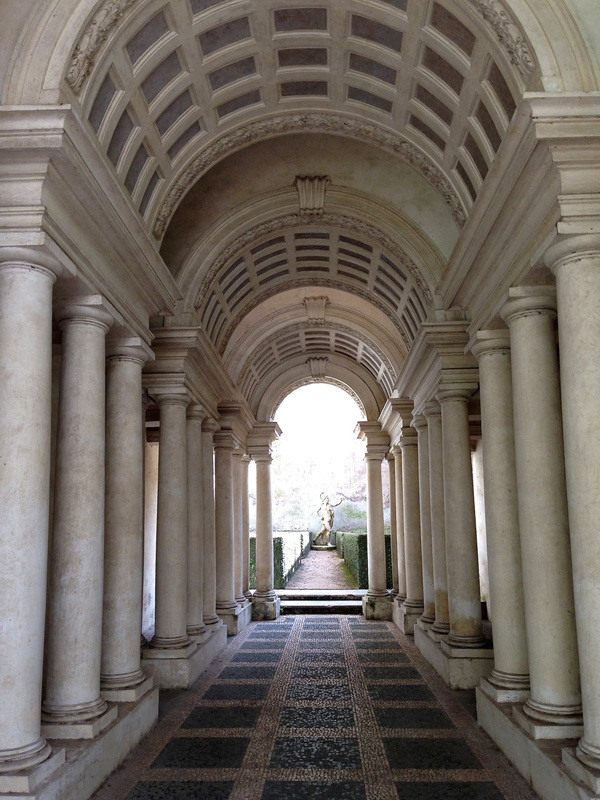 Francesco Borromini’s forced perspective hall at Palazzo Spada in Rome. 2014. Photo by Chelsea Weathers. 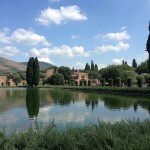 Hadrian’s Villa at Tivoli. 2014. Photo by Chelsea Weathers.